Situated in Nashik at Kamatwade, Saptashrungi Lila is a residential development launched by Trimurti Developers. Prominent suburbs of Nashik are close by and with several schools, hospitals, banks and offices situated in the proximity, the project is a preferred choice for home seekers. 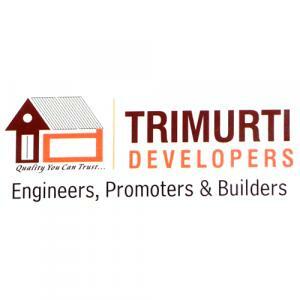 Trimurti Developers Engineers Promoters & Builders is one of the famed builders in the city of Pune. The professional skills and hard work of their construction team is fabulous. They have specialized themselves in constructing residential apartments. They maintain transparency while dealing with their clients. They believe in complete customer satisfaction and returning a perfect return to their clients. The builder group is capable, skilled and well qualified professionally which turns out a cement structure into a marvelous landmark. The company has a vision to provide the best standard in Residential and Commercial spaces. They utilize their resources properly and with great efficiency which makes them the best of all.